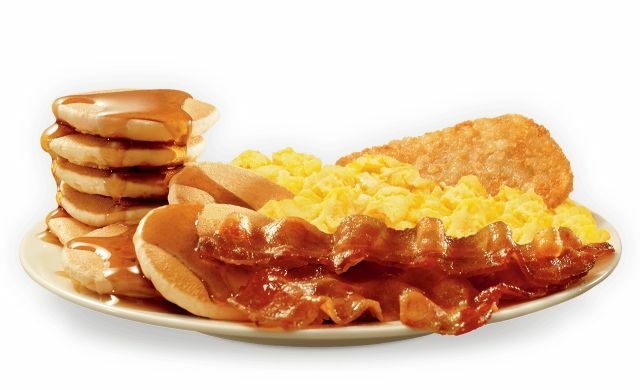 Jack in the Box is discounting their Jumbo Breakfast Platter down to $2.99 for a limited time at participating locations. The breakfast platter was first introduced at Jack in the Box back in 2011 at the same price point but the price eventually crept up in the five or so years since. My local Jack in the Box normally sells it for $4.49 without the discount. The Jumbo Breakfast Platter includes scrambled eggs, hash browns, eight mini pancakes, and a choice of either country sausage or three strips of bacon. You can check out my review of the platter when it first came out here (back then hash brown sticks, which has since been replaced by a single patty; they've also upgraded to thicker bacon since, as have a lot of fast food chains). 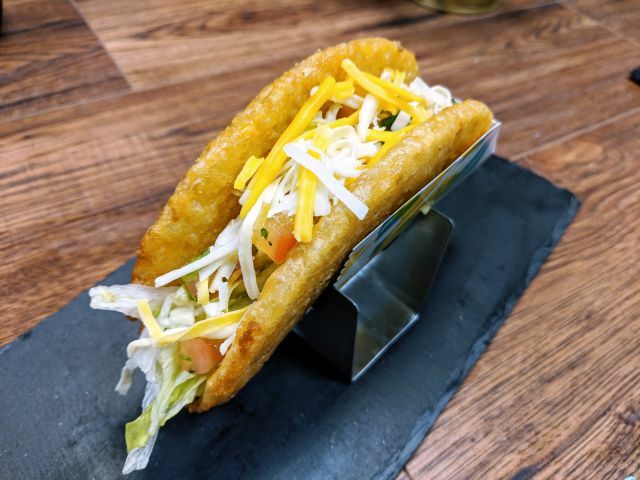 Image via Jack in the Box.